Two ballads. 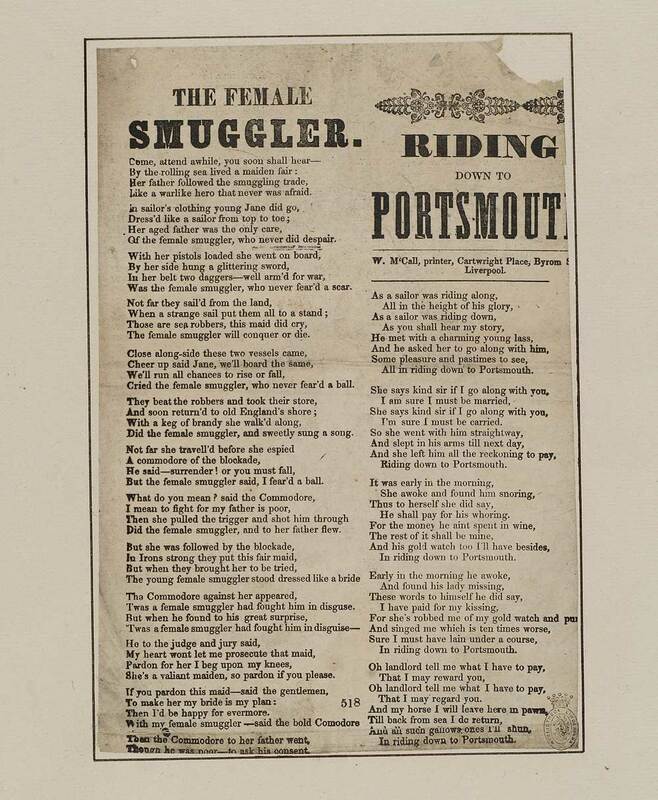 The female smuggler - first line reads: Come attend awhile and you soon shall hear. Riding down to Portsmouth - first line reads: As a sailor was riding along. In two columns.